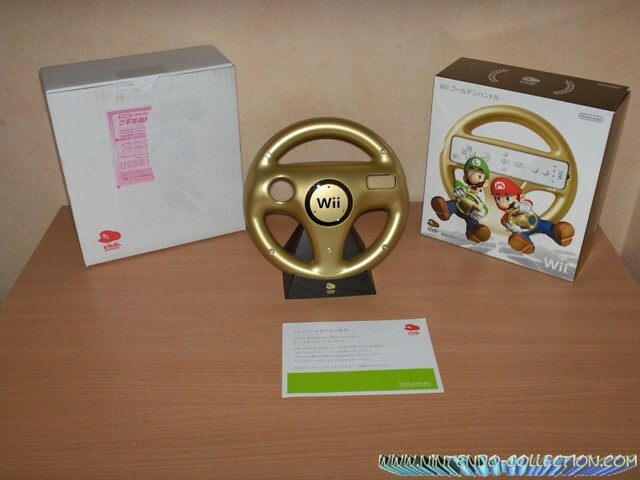 The Wii Wheel steers you into the action! 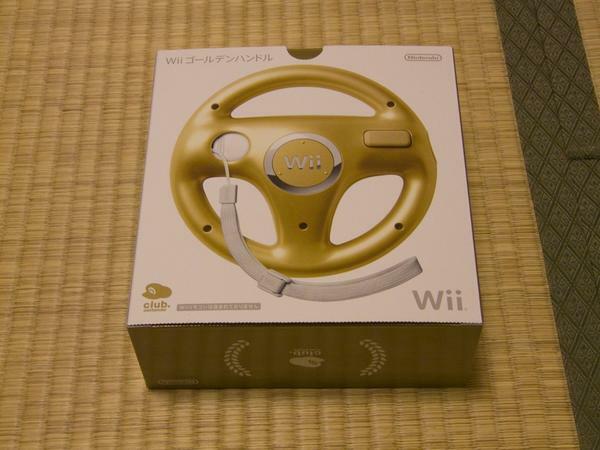 The gold Wii Wheel from Club Nintendo is a high quality peripheral for any driving game on the Wii. 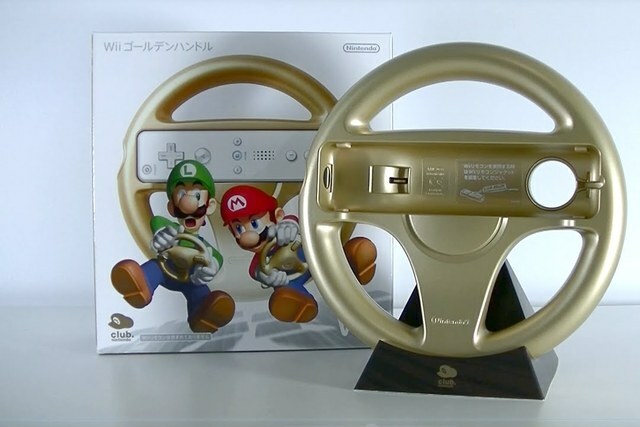 Made specifically with Mario Kart Wii in mind, it offers the most immersive play in any race. It's quite easy to use as well. Slip in your Wiimote and that's it! 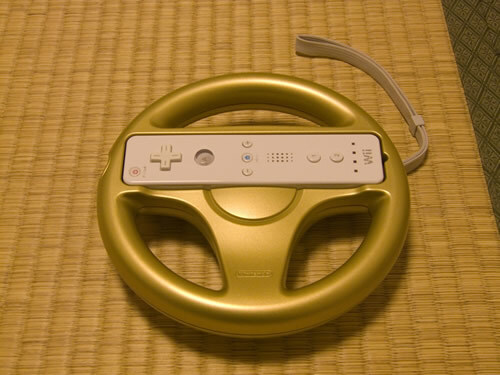 Transform your Wiimote into a racing wheel in two seconds flat. The small hole in the bottom allows for easy extraction of the Wiimote, as well. Just push the Wiimote out from the bottom. While only being a hunk of plastic, it truly does improve your steering ability. I've found that using the Wii Wheel improved my performance a lot. I find myself finishing in 1st place more often when I use the Wii Wheel vs the Wiimote alone. Plus it's GOLD, so it's obviously made of pure skill. It powers up any match of MarioKart Wii, or even MarioKart 8. This peripheral works on any racing game, might I add, not just the flagship battle racer Mario Kart. Since these were a limited run only through Club Nintendo, they can be a bit pricey. I imported mine CIB from Japan and it cost me $30. For its function, aesthetics, and collectibility, though, it's well worth the price.